• Nice base for an easy restoration! • Car has a big retro look and feel. • Last technical inspection in 2014. The "Simca Mille" was an inexpensive car and, at the time of launch, quite modern, with a brand-new inline four water-cooled 944 cc. Production began on 27 July 1961, with the official unveiling taking place in the context of a high-profile publicity campaign at the Paris Motor Show on 10 October 1961. At the launch Pigozzi, for obvious reasons, placed great stress on the extent to which the new car marked a landmark achievement for an increasingly independent Simca, and the company's new Development Department at Poissy, while omitting to mention that the Simca 1000 was the product of close collaboration with the company's majority shareholder, Fiat. Initially, cars could be ordered in one of three colours (red/rouge tison, egg-shell blue/bleu pervenche or off-white/gris-princesse). However, the show stand featured two additional body colours and the range of colours available to customers was soon expanded. The company's marketing strategy was characteristically imaginative, and having acquired a Paris taxi business in 1958, in November 1961 Simca replaced 50 of that company's Simca Ariane based taxis with 50 much smaller (but evidently spacious enough for the relatively short journeys normally undertaken by taxi) Simca 1000s: thus the stylish little car, often with iconic Paris landmarks in the background, quickly became a familiar sight on the capital's roads. Pictures of Simca 1000s working as Paris taxis turned up in the press. It was nevertheless made clear that this was not a permanent change and after a few months the red and black Simca 1000 taxis were removed from circulation and replaced with more conventionally sized taxis. 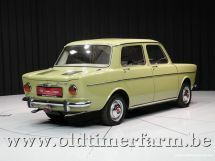 The Simca 1000 was also seen in a number of export markets, with left- or right-hand-drive. Already by June 1963 it had found its way to South Africa, where it was sold alongside Chryslers, Dodges, and Plymouths. In the United States, the 1000 sedan was on sale for the 1963 model year, with the Coupé following in 1965. 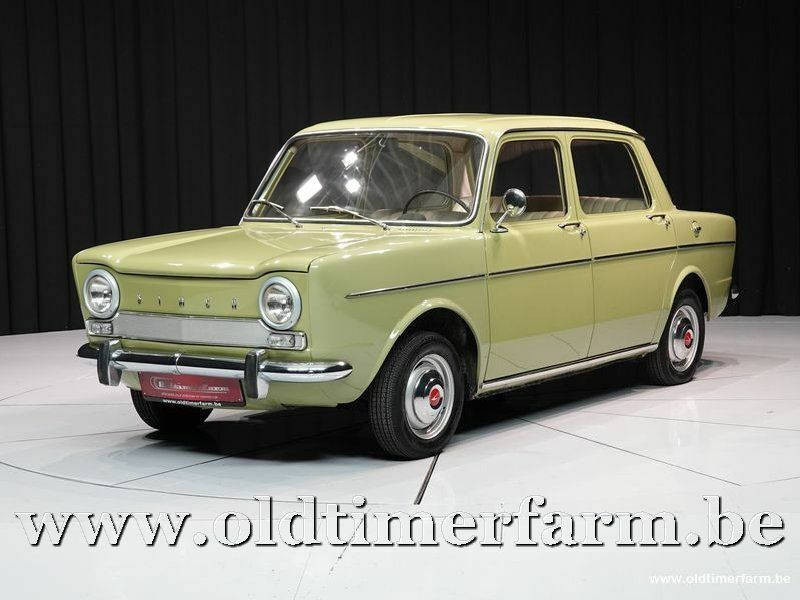 The Simca 1000 became a popular car in France, and to some extent also in export markets. During 1962, its first full year of production, the manufacturer produced 154,282. The achievement was the more impressive because Simca and its dealers had no recent experience of selling small cars, so apart from first time buyers and customers trading down, all the little car's buyers had to be lured away from competitor manufacturers. The competitors of the Simca 1000 in France were the Renault Dauphine and the Citroen Ami 6. Throughout the 1960s and early 1970s the Simca 1000 would continue to appear well up the rankings in the French sales charts, with annual sales remaining above 100,000 without a break until 1974. In its 17 years of production, almost 2 million were sold. Production stpped in 1978.